There are clear standards for publications to report on acupuncture parameters used in clinical studies, but the reporting of these parameters does not address the quality of intervention applied (i.e., validity, standards, or adequacy). An assessment of the quality of acupuncture performed during these studies is equally important when appraising studies. The NICMAN Group of researchers from Western Sydney University, University of Technology and RMIT University have developed and examined the reliability and validity of the NICMAN Scale. 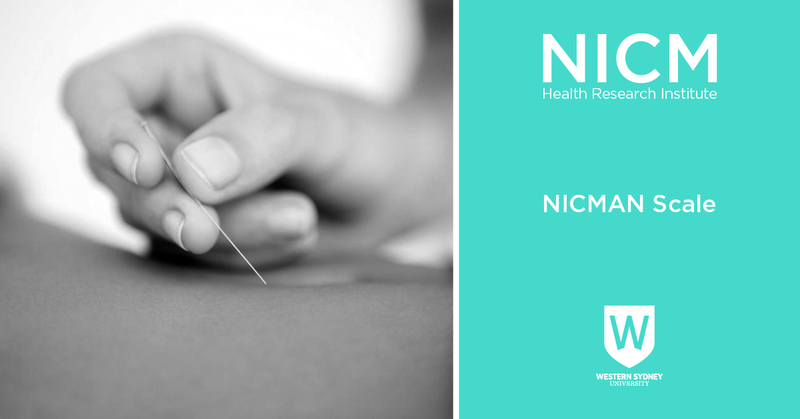 We propose the NICMAN scale is used alongside critical appraisal tools instruments to methodologically appraise individual acupuncture RCTs, and systematic reviews. Used together, these instruments provide a comprehensive assessment of the methodology of the study design and the quality of the acupuncture intervention being evaluated.